At CapSquare Systems, we aim to design best products for business intelligence. Over the few years we have developed unparallel methodologies in Data warehousing and software development. We have a pool of talented and seasoned consultants constantly strive to come up innovative ideas to enhance value addition to solution delivery process. 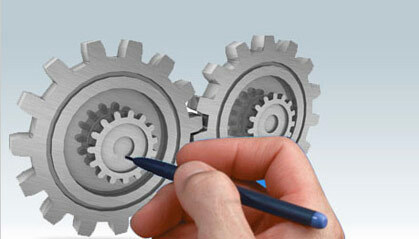 Our strategy inputs will bridge the gap between your existing technology and your business vision. We’ll help you create a framework for making critical technology and business process decisions and help you build a roadmap to get from here to there. We also provide the expertise you need to ensure projects run smoothly and deliver their expected results. Highly customizable solutions manage processes and people and integrate seamlessly with the way you do business. Many companies are looking for efficient and effective ways to communicate with employees. An Employee Portal offers information to all employees from a single point of access thus reducing the constant stream of paper documents. Information is always current, can be updated from a single location and so reduces administrative cost. An Employee Portal gives employee’s personalized access to information and services. It allows employees locate needed information quickly and conveniently and collaborate on projects, which will enhance employee productivity. Our team design databases that function efficiently and integrate with your essential business applications with your resources. We follow a proven development life cycle including strategic database planning with management, data architecture and data modeling, software development, implementation, testing, production and support.